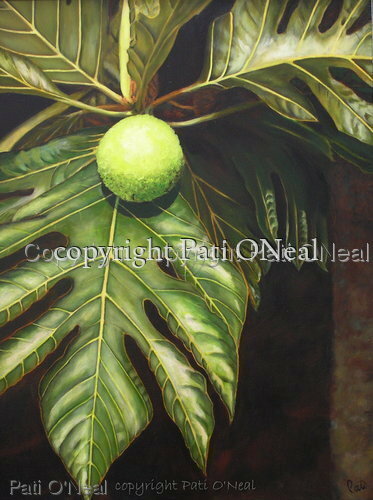 A young 'ulu or breadfruit among richly lobed leaves. Original oil on canvas is sold and privately owned. Contact the artist for a similar commission.